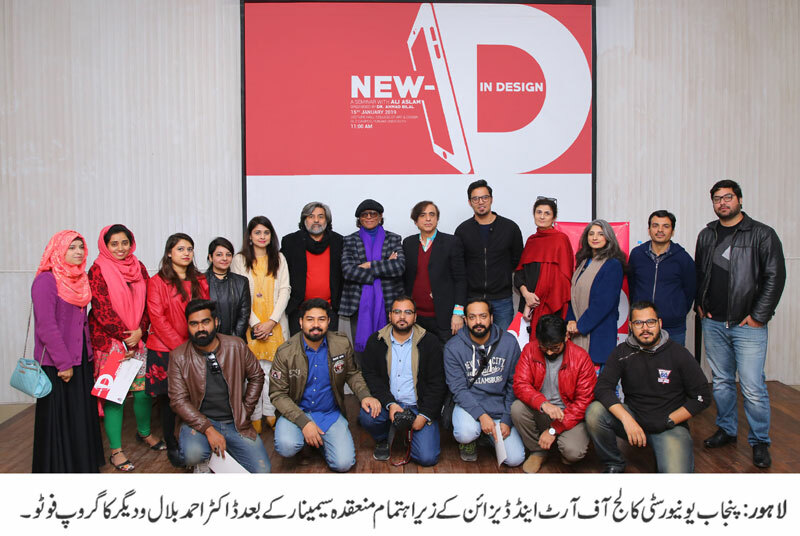 LAHORE: (Wednesday, January 16, 2019): A seminar on New D in design has been organized by Dr Ahmad Bilal at Punjab University College of Art and Design. 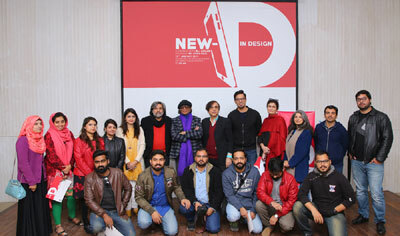 The seminar explored the possibilities, challenges and transformations in the world of design with the availability of new digital media and smart phone technologies. It was proved to be highly informative and revealing for the design students. Keynote speaker, Ali Aslam, is a senior art director and currently working as an Art Director at one of the leading creative agencies of Pakistan. He specializes in bringing to life the ideas and concepts with his fine skill in communication design. Ali has done his masters in design from the College of Art & design and has been honored with a gold medal. A large number of students and academicians including Professor Mehmood ul Hasan Jafri, Asrar Hussain Chishti, Farjood Rizvi, Humera Umar and Aisha Ahmad Bilal participated in the seminar.